Sundance Hills has been described as a "true community" with a very active HOA that organizes events throughout the year. These homes were built in the 1970's. Many homes have been updated and renovated. 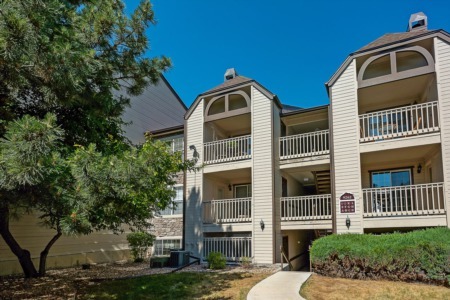 This neighborhood is close to the Denver Tech Center and Light Rail station. Residents have access to tennis courts, playground and neighborhood pool. This small sub-division containing just over 330 homes is located at the far eastern end of the city of Greenwood Village, just south of the Cherry Creek Reservoir. Sundance Hills offers you the ability to live in a cozy suburban neighborhood that's surrounded by large tracts of open space, parks, a huge reservoir, walking trails and all the modern amenities you could wish for. Within the community itself there are also several tennis courts, a playground and a community pool to cool off in during those warm Colorado summers; not forgetting the large reservoir and state park on your doorstep also. The Valley Country Club and Kennedy Golf Course are just a short distance from Sundance Hills.